The optimal functioning of our skin depends on good intercellular communication, which is altered with age. 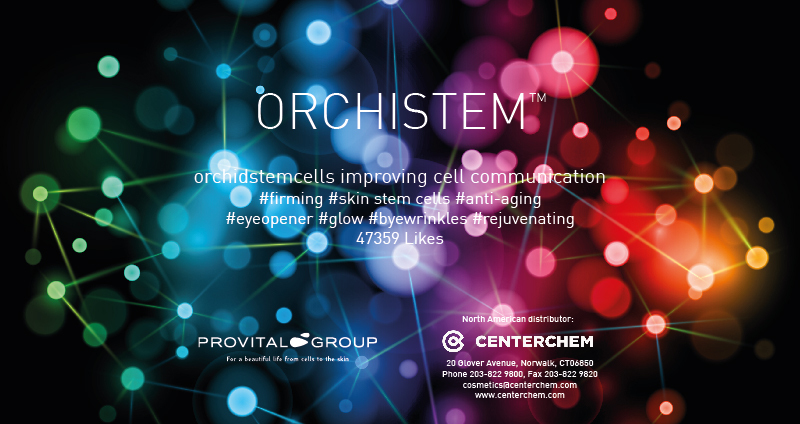 Orchistem™ are orchid stem cells that stimulate adipose tissue-derived stem cells for them to produce a secretome rich in growth factors, for the fibroblasts to increase their production of elastin and collagen. The first showed excellent results in only 14 days reducing and lifting the jawline, redefining the facial oval. In the second in vivo, we quantified how Orchistem™ provides an elevating lifting effect of 10 % on the upper eyelid that rejuvenates the eyes. This boosting effect of collagen and elastin synthesis improved firmness, elasticity and glow. The skin also recovered the luminosity it had 14 years ago. Finally, a visible anti-wrinkles effect was also assessed. With Orchistem™, improved intercellular communication results in a visible anti-aging effect, firmer and brighter skin, a redefined contour and a younger look.